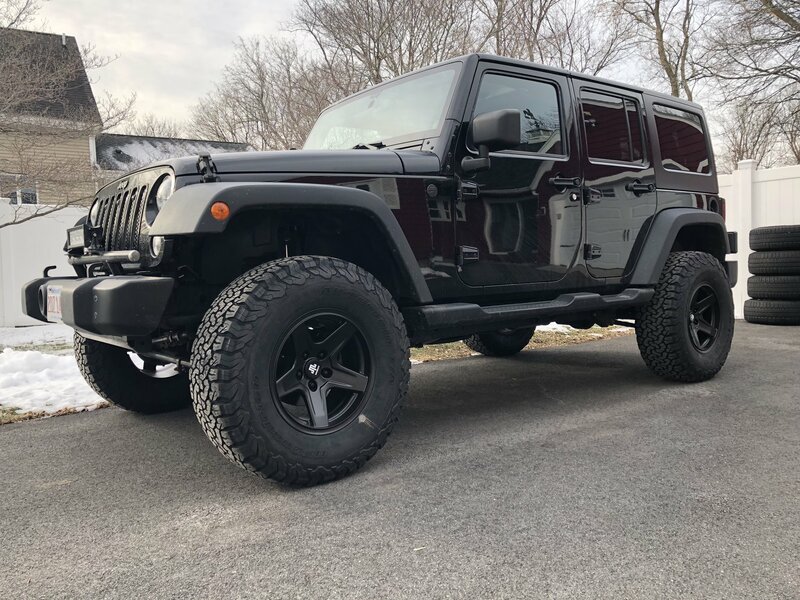 Your Jeep's tires are under assault every time you turn that key and drive down the road or trail. What with gravel, larger rocks, potholes, tree stumps and whatever else hides on the dirt or asphalt. 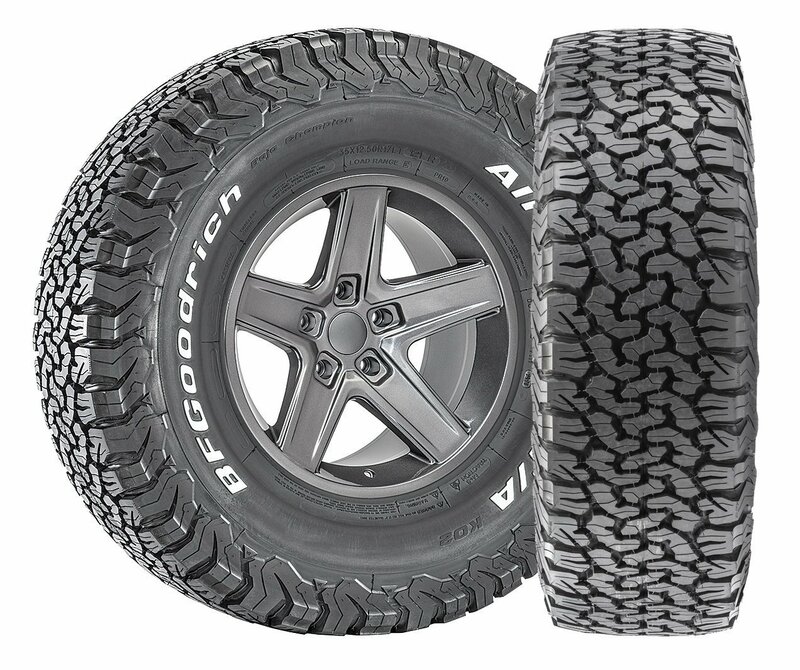 So take action and get yourself some tougher, specially formulated rubber - BFGoodrich All-Terrain T/A KO2 Tires. Featuring an advanced deflection design and CoreGard technology that increases rubber thickness to prevent sidewall failure, these tires have been race, road and trail tested to take on the toughest hazards around. Tread design is also important in tire life, and these incorporate an optimally blended solution that distributes weight more efficiently; reducing uneven wear to keep your ride as smooth as possible. Plus, included Side Biter Lugs provide increased mud, snow and rock traction, especially in aired-down trail driving conditions. 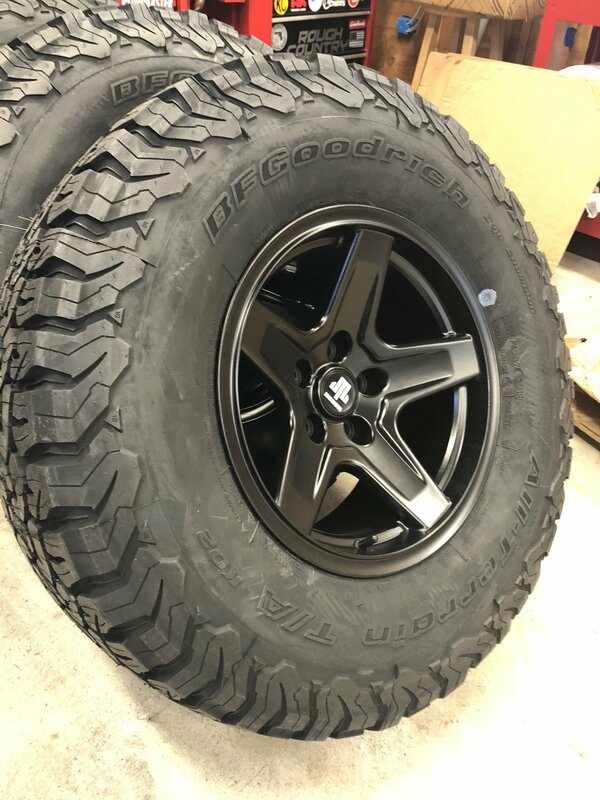 Improved Sidewalls: BFGoodrich All-Terrain T/A KO2 tire sidewalls contain CoreGard technology which increases rubber thickness to prevent sidewall failure - all to help resist splitting or bruising that can damage a tire. Long-lasting Tread Rubber: Tire utilizes a specially formulated rubber tread that is optimally blended to reduce chipping and tearing for superior endurance. Its advanced footprint shape also results in more evenly distributed stress, for longer more uniform wear. Truly Capable In All Terrain: KO2 tires incorporate Side Biter Lugs and Mud-Phobic bars that help provide increased mud, snow & rock traction, especially in aired-down driving situations. 1. We recommend that the tire be mounted & balanced by a certified professional. Tire Height: 30.00" or 32.00" or 34.00" or 31.00" or 33.00" or 35.00" or 37.00" or 28.50" or 29.00"
I run 35x12.50x17 BFG Ko2. They are super quiet on the road and look great on my JKU. I used to love these, the original KO was a good tire, the KO2 performs really well also, however they have removed the rim guard from the design. This is a complete deal breaker for me, I am constantly pulling and prying to get sticks out of the bead because of the lack of rim guard. If you don't know what I am talking about, a rim guard is the extra rubber next to the bead that extends out beyond the thickness of the rim flange so that anything you scrub up against will glance off rather than hit the edge of the rim or get into the bead. For an off-road tire a rim guard is essential. I will never buy these again unless they bring back this feature. FYI the BFG MT has omitted the rim guard in the new design as well. Shame on BFG! Such Fast Shipping! Ordered on Friday, At my door Monday Morning! Tires look amazing!